For years Zahi Hawass was a superstar among Egyptologists and one would say, archaeologists in general. Even those who weren’t archaeologists or in related fields were familiar with him. Not only did he have his own program on the History Channel, he appeared frequently on shows on the Discovery and National Geographic channels. He was an author and a passionate advocate for cultural preservation. Held in favor by the Egyptian government—even appointed as the Minister of Antiquities in 2011 by President Hosni Mubarak—he was lauded for raising Egypt’s profile in the world. However, fortune and politics can be lethal twins. After the toppling of the Mubarak government, Hawass became a persona non grata in his own country. He lost his TV show, was arrested by the Egyptian government (and later released) and was heaved unceremoniously out of his office and the spotlight. And with the ongoing unrest in Egypt, he has much to ponder as to the future of his country and the fate of Egyptian heritage. Eric A. Vassalo sent AntiquityNOW an interview he conducted with Zahi Hawass. It is a cautionary tale of fame, politics and history, and shows the complex workings of ancient cultures experiencing the upheavals of reformation and change. Scroll down to read the interview and article in its entirety. Vassalo is a blogger on cultural issues. He graduated from the University of Miami where he studied anthropology and archaeology. The following interview was originally published December 2013 in AnthroJournal. 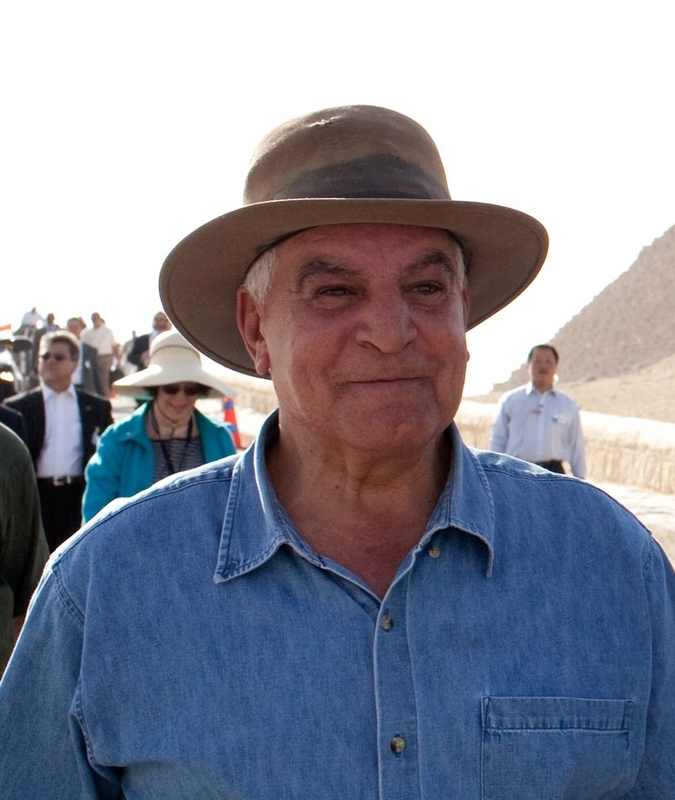 An exclusive interview with famed Egyptian archaeologist Zahi Hawass. Cairo, Egypt – It took over an hour navigating through chaotic Cairo traffic to arrive at Zahi Hawass’ apartment building.Nestled amidst a bustling suburb, it was a surprisingly austere place for a man who, it seemed but moments ago, held Egypt’s highest post for the management of its antiquities and, for years, was Egypt’s iconic face to the world when it came to antiquities. As we entered the dusty and dimly lit lobby, the guard stoically nodded for us to pass to the elevators that would take us up to Zahi’s apartment. Once we arrived, his assistant opened the door and politely greeted us, asking us to come in. His office had an academic air and was well-kept, much like a professor’s office. The walls were filled to capacity with books about Egyptian archaeology, many of them authored by Zahi himself, who has produced numerous titles on Egyptology over the years. There were clusters of framed photos, and certificates of appreciation and accolades given to him over the years from schools, universities and governmental agencies, among others. Life in this space has become much quieter since before the revolution. Back then, he’d usually have teams of student assistants swirling about, helping to coordinate and organize his ambitious workload. With so many projects being managed at any given time, he needed all the help he could get. No longer. Zahi met us warmly with an infectious, friendly smile. It was no wonder. I was with his longtime friend Mary Lomando. She met Zahi over 20 years ago, while she was completing her degree as an Egyptologist. Today, she is a seasoned tour leader and owner of PachaTera Travel. For Zahi, she was a welcome face, and for good reason. He has grown weary of being maligned by the media and his countrymen because he had been a cabinet appointee of deposed President Hosni Mubarak. Despite his celebrity status, Zahi sees himself not as a media personality, but as a guardian of Egypt’s rich heritage. At the start of the revolution in January, 2011, Zahi took a big risk by forming a human chain with other Egyptians in the streets in front of the Egyptian Museum in Cairo, hoping to prevent protesters from storming the museum. This act was not reported by any media source. While in his post with the Egyptian government, he was responsible for repatriating over 5,000 artifacts from museums all over the world. 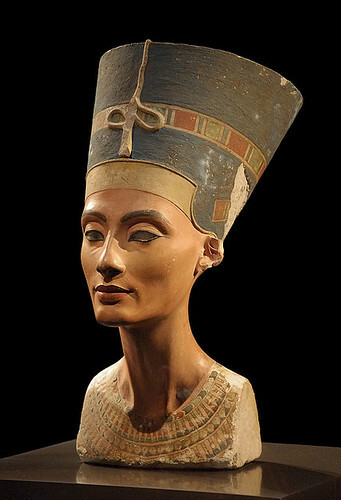 The New York Metropolitan Museum cooperated with him in returning 19 artifacts from King Tutankhamun’s tomb. 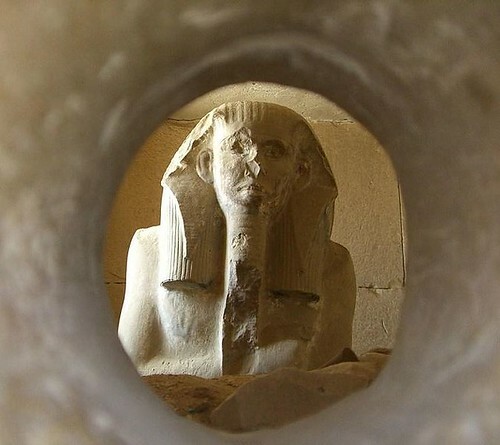 His boldest move was more controversial: for the first time in history, he blocked France from digging at Saqqara until the Louvre returned the five fragments of the Tetiky frescoes taken from the West Bank in Luxor. 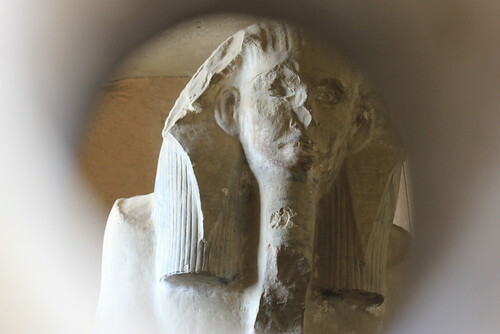 Said Zahi, “a bomb dropped at the Louvre when I stopped the French from digging at Saqqara.” His bravado worked and all frescoes were returned. “What are the most important artifacts you feel should be returned to their home in Egypt?” I asked. 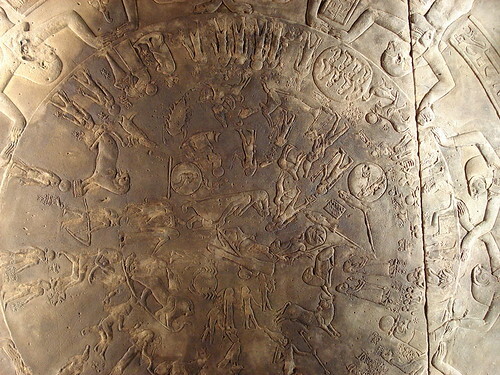 He spouted off a short list of the most significant, such as the Statue of Ramses II in Turin, Italy; the statue of the architect, Hemiunu of the Great Pyramid at the Roemer-und Pelizaeus-Museum, Hildesheim; the bust of Prince Ankhhaf at the Museum of Fine Arts in Boston; the Dendera zodiacat the Louvre in France; the Rosetta Stone in the British Museum; and, of course, the famed bust of Nefertiti in the Berlin Neues Museum. 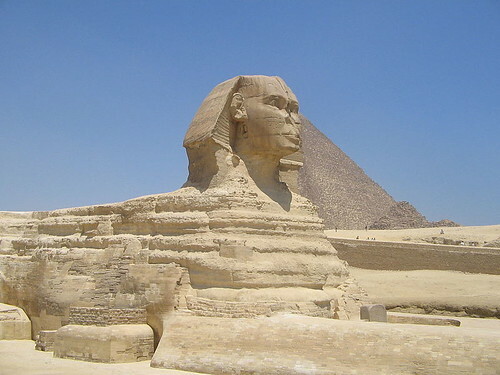 Restoration of the Sphinx and its enclosure. As would be expected, discussion gravitated to the impact of Egypt’s slow-boil revolution on its priceless antiquities, in and out of the ground. The archaeological sites of Egypt are unbelievably empty of tourists — one of the casualties of the civil unrest. Security has much to do with this. The monuments, exemplifying some of humanity’s greatest achievements, are barely guarded, and in some sites there are no guards whatsoever. Many sites are in a neglected condition, littered with animal dung, graffiti, and trash. Moreover, the wave of Islamic extremist incidents throughout the country, fueled by the Muslim Brotherhood, haven’t helped matters. One cleric recently threatened to dismantle the Pyramids and ancient temples. It seems that Islamic fundamentalism isn’t friendly to secular archaeology, which highlights the accomplishments of ancient people with a different belief system, even though today’s Egyptians generally no longer subscribe to it. And looting, like a viral disease, is running in epidemic proportions. 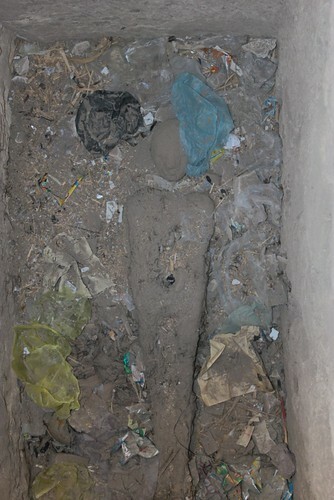 Neglected mummy surrounded by trash in Luxor’s Assasif Mountain area, near the Valley of the Kings. I asked him about the recent reports of work by Sara Parcak, the University of Alabama archaeologist who, using satellite imagery, calculated the extent of the looting epidemic since the revolution, estimating an increase of 500 percent. While on the topic of Parcak’s work, I asked him how he felt about the merits of new technologies, such as the satellite imagery she used to make the recent headline-making new discoveries in Egypt. On another topic, much has been reported in the media regarding accusations and charges against Zahi for corruption related to contracts with National Geographic and the Discovery Channel. I inquired about them. Egypt’s mega-project — its new Grand Egyptian Museum in Giza — promises to be Egypt’s crown jewel, just a mile away from the pyramids near Cairo. 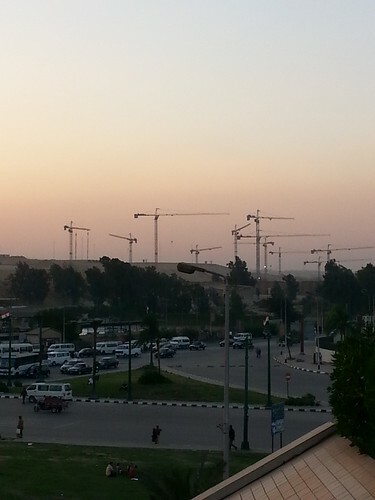 Giza’s skyline is dotted with so many cranes, it looks as if they are constructing a new pyramid. 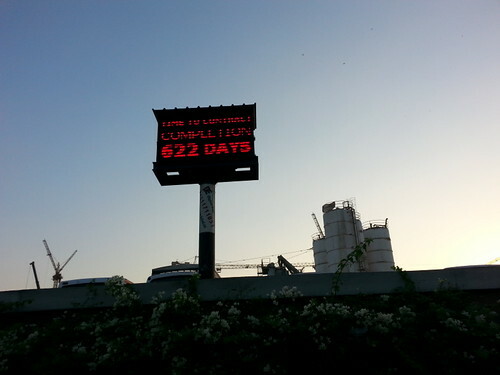 A large sign with red LED numbers in front of the site shows a countdown of 622 days. But this has been a running joke among the locals who say the countdown is in years, not days. I asked him if he had any updates on the new museum. “Construction work is ongoing, but very slow, as they need about 700 million dollars to complete the construction of this massive museum. With the current instability, who knows when that will be completed,” he lamented. Sunset sky filled with cranes looming over Giza Plateau almost a mile away from the pyramids complex. The cranes are being used to build the new Grand Egyptian Museum which will be a much larger, state of the art home for Egypt’s finest antiquities. 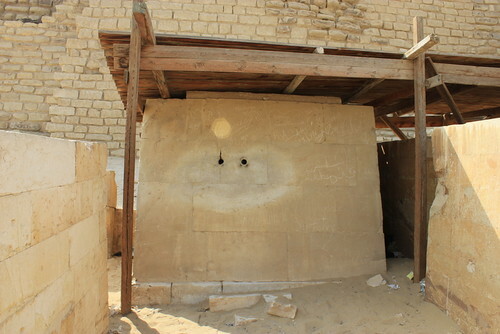 The old museum will still be used but as more of a research center for Egyptology. The construction coundtown clock at the building sight for the new Grand Egyptian Museum near Giza Plateau. Zahi’s dream – to do the work that still needs to be done to complete his vision for the antiquities department – has been blocked. Looking to the future, that won’t stop him from making new discoveries and continuing to be an Egyptologist, he asserts. But for now, he is resigned to filling his days by organizing speaking tours in the U.S., and book signings in Geneva, Poland, and London, which began November 5th. He’ll be promoting his new book, Discovering Tutankhamun: From Howard Carter to DNA. He is also currently completing another book on the DNA research findings on the royal mummies at Cairo’s Museum of Egyptian Antiquities. And his passion remains, not in carrying a title, but in being able to effect change and fulfill his personal mission as a guardian of Egypt’s heritage. I asked him: “If it were offered to you again, would you want your old job back? Although not mentioned on his bucket list, Zahi addressed my additional inquiry about the status of the search for Cleopatra’s burial place. There was little hesitation in his response, but his discretion was clear. Meanwhile, Zahi is enjoying the legacy he has already built. Next stop: a flight to another speaking engagement and book signing……….to a country where “revolution” is something one only reads about happening somewhere else. 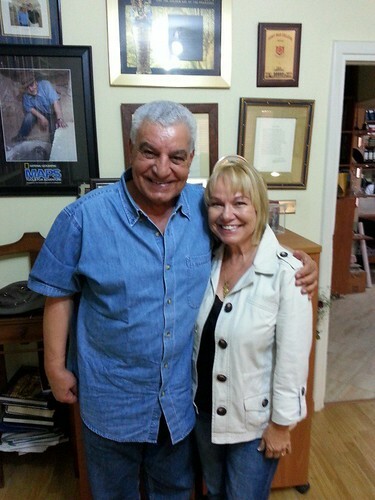 Zahi Hawass with long time friend and fellow Egyptologist, Mary Lomando at his home office in Cairo. The Egypt of today is a surreal dichotomy. Its once remarkably rich and powerful civilization led by vibrant pharaohs contrasts sharply with the economic and political breakdown of the seemingly leaderless Egypt of today. At present, Egypt’s unemployment rate is over 13 percent (locals say it’s much higher). Moreover, like other third-world countries, much of its population lives in poverty, while luxurious havens exist for the elite few in Cairo, Alexandria, Hurghada, and Sharm el-Sheikh. Income inequality and corruption are as bad as, if not worse than, most other third-world countries. On our way to visit the pyramids at Giza, youth—no more than 13 years of age— suddenly surrounded the taxi driving us down the old Pyramids Road. They tapped on the car’s windows in an attempt to get money, or baksheesh, from us. Our driver exclaimed apologetically, “They are starving!” in a spurt of honesty that was so heartfelt, it rang in my ears, creating instant empathy for their living conditions. Being Cuban, and having visited my country several times, parallels were instantly drawn in my mind of how far a failed government can effect it’s own people, forcing them to be capable of anything in an effort to survive. Yet, even though Egypt’s people are in dire need, the country is very safe to visit. Tourists are always treated with kindness and appreciation. It’s an unspoken rule to treat tourists well, but every now and then you will get a character that won’t take “No, thank you” for an answer. A payment of baksheesh—about 10 Egyptian pounds ($1.44 US)—usually satisfies them. Egypt’s economy is heavily reliant on tourism, and the revolution has taken a toll on the tourism industry, which, since the revolution erupted in 2011, has come to a virtual standstill. It would not be an exaggeration to say that at many of the sites we visited we were the only American tourists around. Whenever we were asked the common question: “Where are you from?” our response was always greeted with “Ah, America . . . good people!” Thankfully, Tourism Minister Hisham Zazou announced on October 2, 2013, that 13 countries have now lifted bans on travel to Egypt. The latest two countries, Austria and Ireland, lifted bans to holiday destinations in the Red Sea and South Sinai. But despite some silver linings, Egypt remains in the grips of an ongoing revolution, and the resultant consequences for its archaeological treasures have been grim. Egypt’s Malawi National Museum was looted and vandalized in August of 2013 by local Muslim extremists, and many artifacts, even wooden sarcophagi, were hacked to pieces with axes. Reports of looting have been leaked from independent sources, but as yet there isn’t much actual data, or an official account, of what has gone missing. However, in Jerusalem, a public auction of 126 recently looted antiquities was halted, evidence that many antiquities are being smuggled out through Egypt’s porous borders. 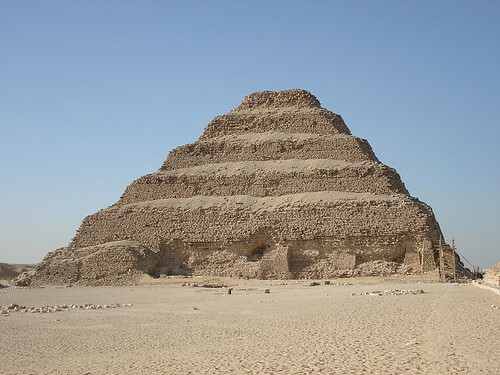 Mary Lomando and I visited Saqqara and the Abu Sir pyramids area the day before meeting with Dr. Hawass, and reported to him that the replica, full-size statue of King Djoser sitting inside hisserdab enclosure was moved out of line in a failed looting attempt. Most looters are not educated enough to know it is a replica. The representation of the ancient king now sits in wait, no longer aligned, blocked from his line of sight to the stars. It is a standing metaphor for the state of Egypt today. Djoser’s serdab with eyesight holes. After: The position of the statue as shifted due to the looting attempt. This entry was posted in Blog, Celebrities, Crime, Culture, Education, Human Rights, Politics, Public Life, War and Violence and tagged ancient history, antiquities, AntiquityNOW, archaeology, cultural preservation, Egypt, Egyptology, Hosni Mubarak, interview, looting, Zahi Hawass. Bookmark the permalink. We are friends of the museum on the Emory U. campus and have joined many times events connected with the museum. I feel as though the world is on the brink of another Dark Age, considering the priorities (or lack thereof) ofl global citizenry when it comes to education and the preservation of the history of ancient civilizations. It is disheartening, However my family and I feel honored to have had the privilege of viewing and listening to Dr. Hawass discourse at the Fox Theatre and to have viewed the awesome display of artifacts from ancient Egypt in Atlanta. We will always be thankful for such learned scholars and archeologists as Dr. Hawass. Thank you for this interview. I find it so sad that Egypt has still not found its way. I visited in 2008, and the country and its people have so much to offer the rest of the world and themselves. Zahi Hawass, despite criticism, has worked hard to keep Egypt in Egypt. Would love to see when he is speaking in the US again. Good thoughts go out to Egypt. I hope to still see the Discovery Channel, Travel Channel and the Smithsonian channel air any current projects he does. I love watching anything he is on telling about archeology. I learn so much from his programs. I have been on a quest to learn about the journey of Cleopatra VII as the last queen of Egypt. In doing so, I have been enraptured by the monumental accomplishments of the land of the pharaohs, which achievements are still visible today. Thanks to your article, to Zahi Hawsss and others, the reverence, appreciation and preservation of Egypt’s culture is a clarion call to the world that identify and heritage is humanity’s inspirational legacy to its successors. 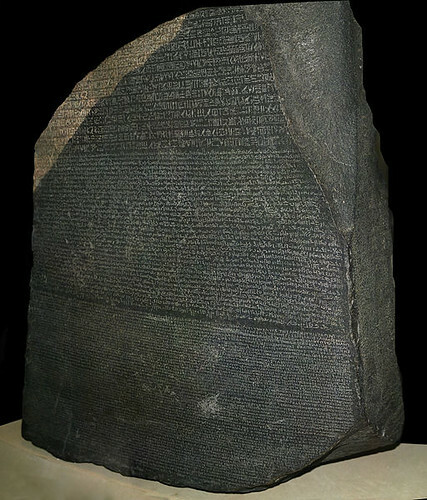 In this, since the Nile coalesced, Egypt has remained first and foremost. May good fortune shine on Egypt and its people soon.